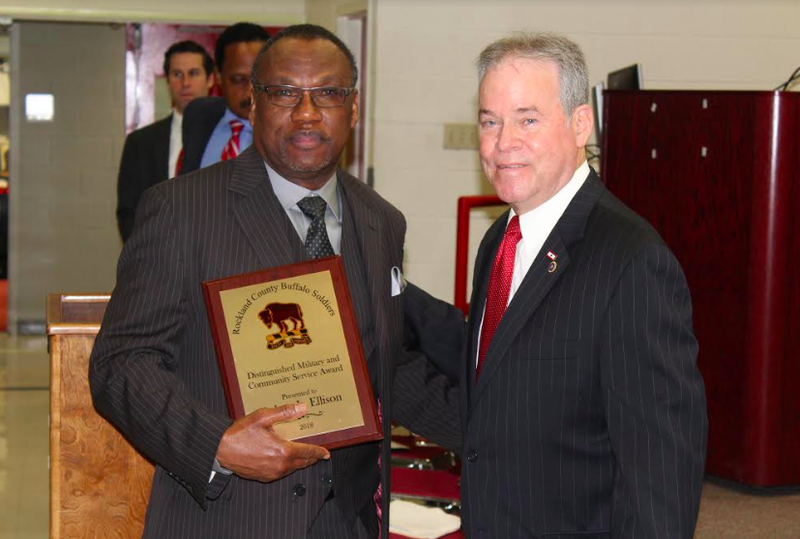 County Executive Ed Day presented the 2018 Buffalo Soldier Award to US Army Sergeant Robert L. Ellision and Lieutenant Colonel Jesse Raymond Robinson (deceased) during a special ceremony at the Rockland County Fire Training Center in Pomona this week. The Buffalo Soldier Award is presented annually to outstanding African-American veterans who reside in Rockland County. The award is named after the black 10th Cavalry Regiment stationed near the railroad construction camps of the Kansas Frontier in 1867. Plains Indians nicknamed the Cavalry based on their exceptional and fearsome fighting reputation. They were never defeated during 23 years of service in the Indian Wars, from 1867 to 1890. “The freedoms we enjoy today would not be possible without the bravery of men and women who served our nation like Robert and Jesse. They both embody the American spirit and dedication to service, which is clearly evident through their lifelong commitment to family, community and our armed services,” said County Executive Day. Robert Ellision joined the Army in 1968 and served for 13 months in Mekong Delta, Vietnam from February of 1969 until March of 1970, when he was honorably discharged. During his time in Vietnam, he earned the National Defense Medal, the Vietnam Campaign Medal, the Army Commendation Medal and the Vietnam Service Medal. After returning to the County he worked at the Rockland Psychiatric Center as a Secure Care Treatment Aide until retiring in 2004. Jesse Robinson joined the US Navy as a Corpsman in 1952, serving in the Korean War until he was Honorably Discharged from active duty in 1956. He accepted a Commission in the US Army Reserves in 1963 and served until 1991; retiring as a Lieutenant Colonel. He earned his Bachelor’s degree from NYU and a Master’s Degree from Pace University. He also attended the US Army Command and General Staff College. Robinson transitioned to the afterlife on September 14, 2017. 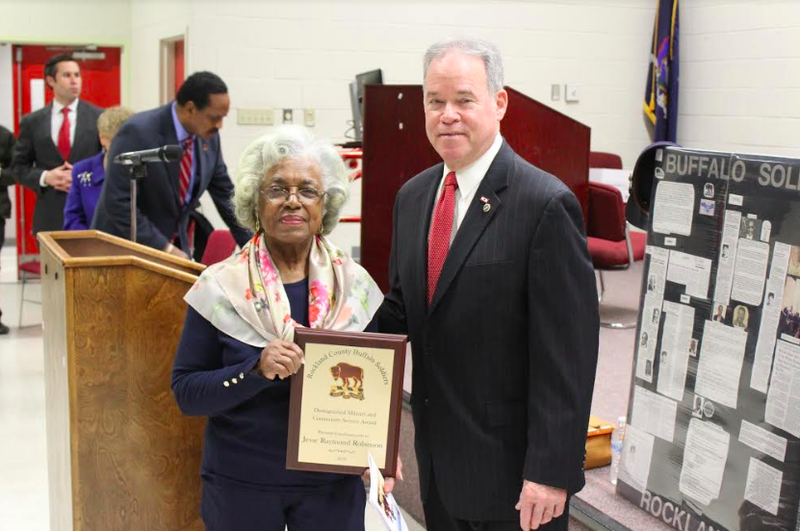 His Buffalo Soldier Award was accepted by his wife, Wilhelmina Robinson.